All in all, they turned out OK! Not a bad first pass. I got down with a few cookies today, and so did Connor. She was a very helpful baking assistant and did a great job of mixing the dough and rolling out the cookies into balls. She’s so funny. 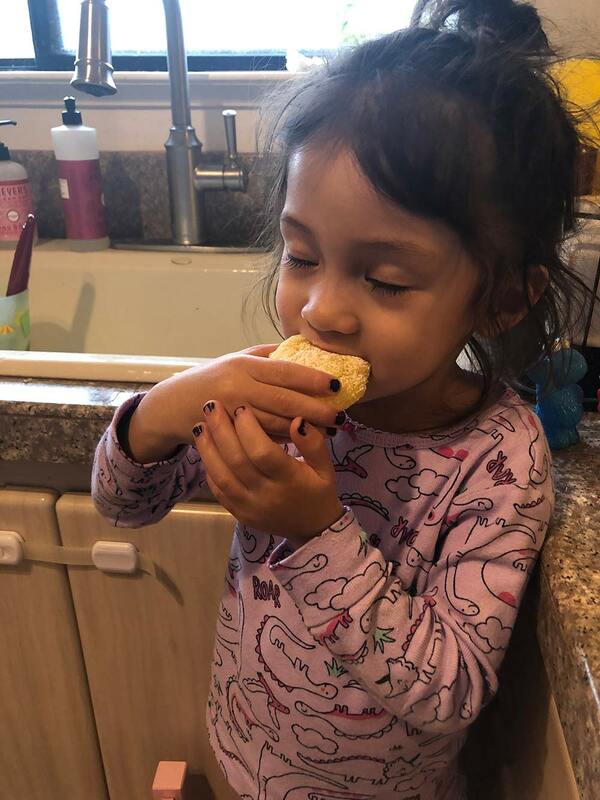 Her hands would get sticky from the dough and she’d be like, “Mama, I need to wash my hands!” And I’d be like, “No, babylove. The best part about baking is getting dirty. Your hands should be sticky and messy.” I really just wanted her to get in there and play. I put a chair right next to me on the counter so we could talk to each other, and I also gave her a plastic bowl and a whisk so she could do some pretend baking alongside me. I think one reason I like having her bake with me is because when I was growing up my mom was soooo not a baker, but on rare occasions, she’d make banana bread. I always wanted to get in there and help, but I was only allowed to mash the bananas with a fork. The rest of the time, I’d stand there drooling and watching and wishing I could do more. My one other job always happened at the end. 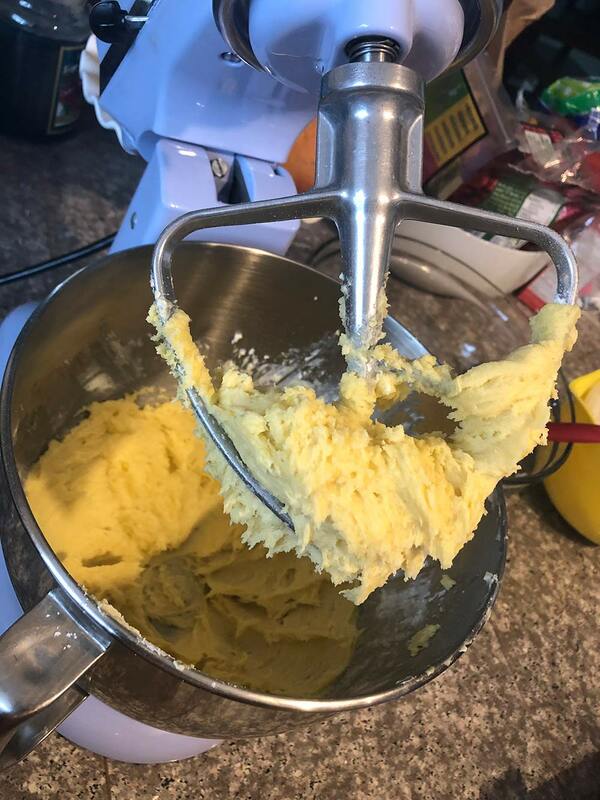 My mom would remove the whisks from the electric beater, hand them to me, and then I’d lick every last drop of the batter from them. I know that people don’t really do that anymore because — HELLO, RAW EGGS — but that was my favorite part! And for the record, I never got sick (side note: El Hub says I have a goat tummy because I can pretty much eat anything, knock on wood). Anyway, because I never got to bake much as a kid, I want Connor’s childhood baking experiences with me to be interactive and hopefully fun. 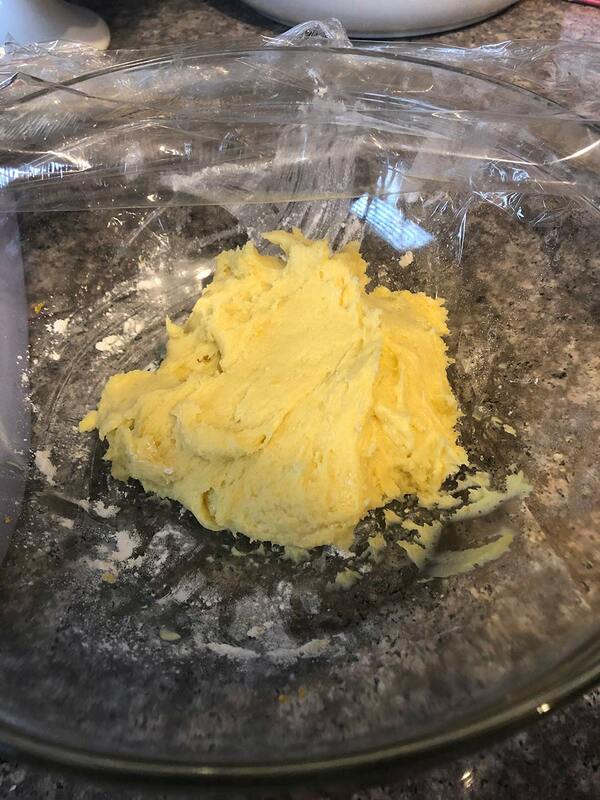 The second (and hopefully final) batch will go down before Friday, which is the official cookie day, and when I do it, I’m going to dial back on the salt because, like I said earlier, I had to improvise because I didn’t buy self-rising cake flour. 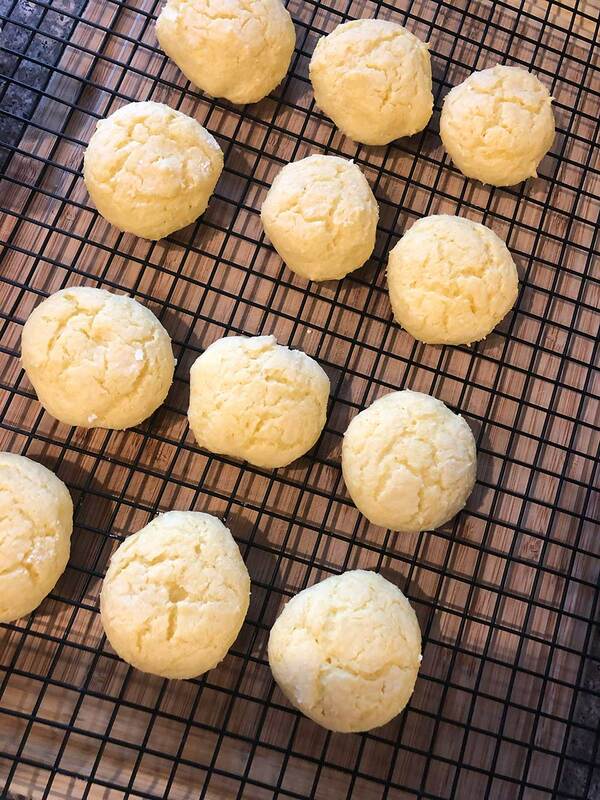 You can make self-rising cake flour at home, however, and the way you do it is, for every cup of flour, you add one and a half teaspoons of baking powder and half a teaspoon of salt (thank you, Internet). 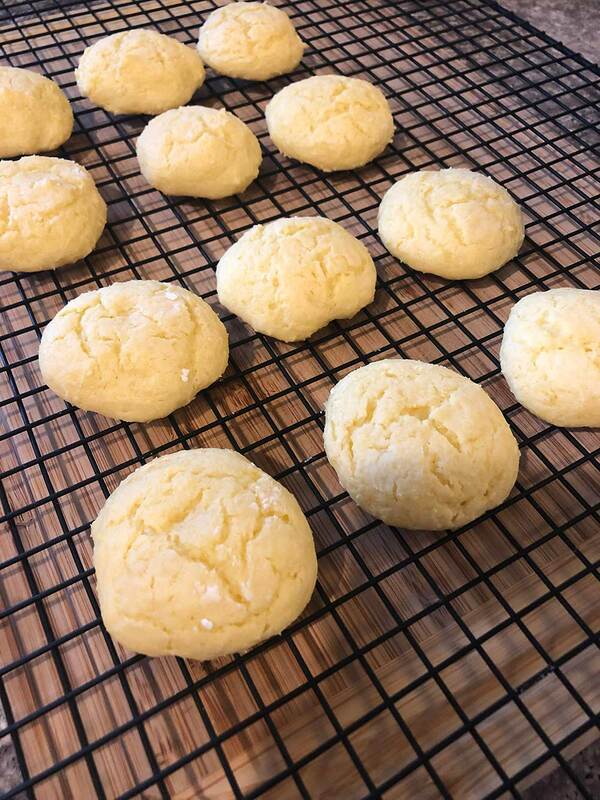 But in this particular cookie recipe, I could really taste the salt, so next time I’m gonna tone it down. It’s a good recipe, though, and it’s easy. You should try it if you’re in the mood for a light, soft cookie.